Managing and creating a road map for the fight against cancer is critical for long-term success and achievement over cancer. Geetika Kukreja, MD provides her expertise in the world of oncology and cancer. As the world strives for an absolute cure for cancer, Dr. Kukreja is able to help a patient by managing one's care and treatment. Dr Kukreja is certified in internal medicine, medical oncology and hematology so that the full picture can be put into perspective and move forward. Infusion therapy is also available right at Scheurer, making for the process to be as comfortable and convenient as possible. When it comes to cancer treatment, we understand the 'human factor' and how support and care plays a large factor into the outcome. Our belief and vision of Better Health. Better Life. can be felt at every level of Scheurer and is a key factor to our success. 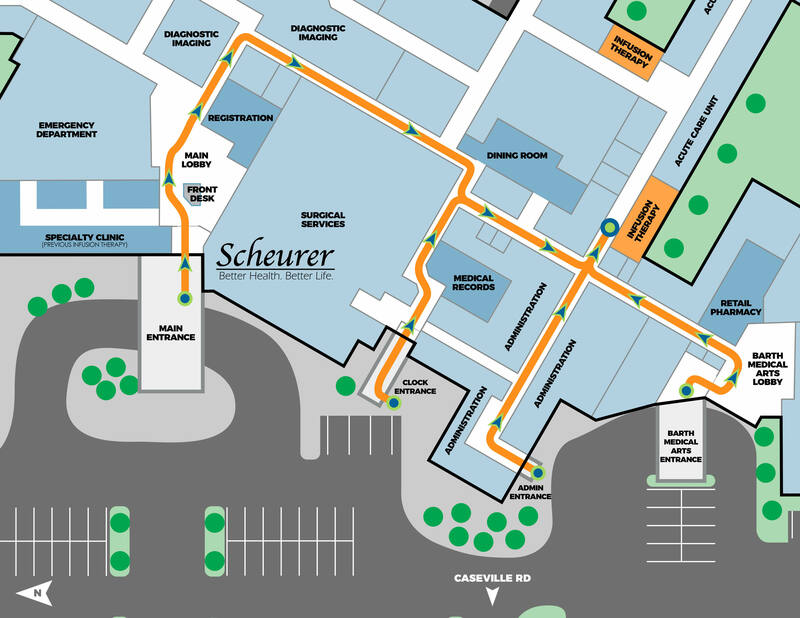 Chemotherapy, outpatient IV therapy, injections, implanted port care, PICC and blood draws are all available inside the doors of Scheurer. Nuclear medicine is an ever-expanding branch of diagnostic applications in today's age of healthcare. A clearer and better snapshot of one's health allows for a diagnosis that is more effective and applicable to a patient's future. Scheurer offers some of the most state-of-the-art nuclear medicine technology. We have upgraded our location! You can now find Infusion Therapy within Acute Care. Click here to download a map.